Lama Zopa Rinpoche met Panchen Otrul Rinpoche during his recent visit to Mongolia and was very inspired by the many charitable projects Panchen Otrul Rinpoche has initiated. These projects benefit hundreds of people now suffering as a result of the ever increasing poverty resulting in the collapse of the Soviet Union. 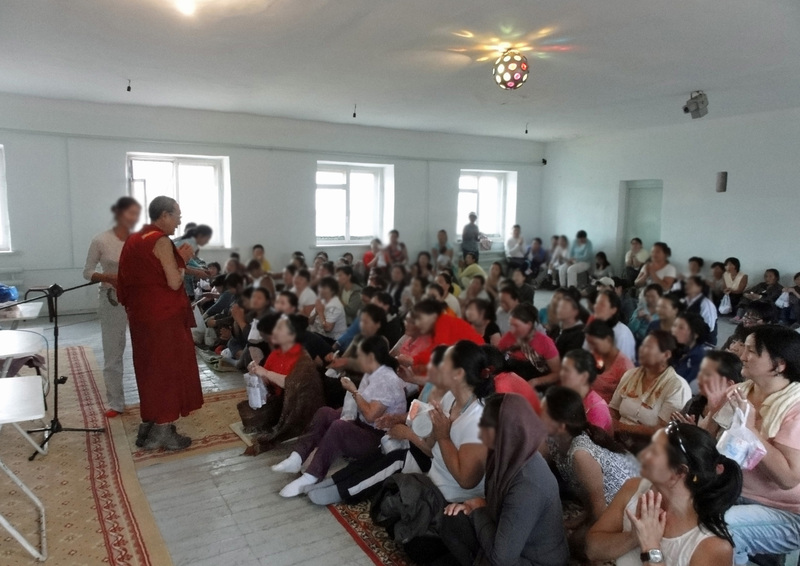 In 2001 Panchen Otrul Rinpoche formed Asral NGO to help both individuals and communities. Please rejoice that the Lama Zopa Rinpoche Bodhichitta Fund was able to offer US$10,000 toward this array of beneficial activities. Panchen Otrul Rinpoche visiting a women’s prison in Mongolia. 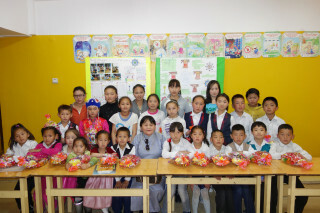 Many households in Mongolia are now headed by women, who are typically the poorest members of society. Asral NGO is committed to supporting these women and their families to achieve sustainable livelihoods, working closely with community leaders, to provide access to education, skills training and family support. Asral NGO address the specific needs of children, and their social workers work closely with local governors and community organizations to help make education, healthcare, nutrition and family support available to young children. The Hot Meal and Sponsorship Programs provide children with meals, equipment, clothes and school supplies. Poor living conditions, malnutrition, lack of warm clothes and pollution are all major causes of respiratory, heart and kidney disease. Asral NGO works with the local medical center, providing supplies, medical care, vitamins, clean and safe water supplies and public training in disease prevention programs. It is estimated that one third of the population of this area live below the poverty line. Over the last two decades, up to thirty thousand people moved each year to the city, resulting in the vast shanty district surrounding Ulaanbaatar. Asral NGO supports people in need with homes, stoves, fuel, food and emergency aid, particularly in the harsh and difficult winters. 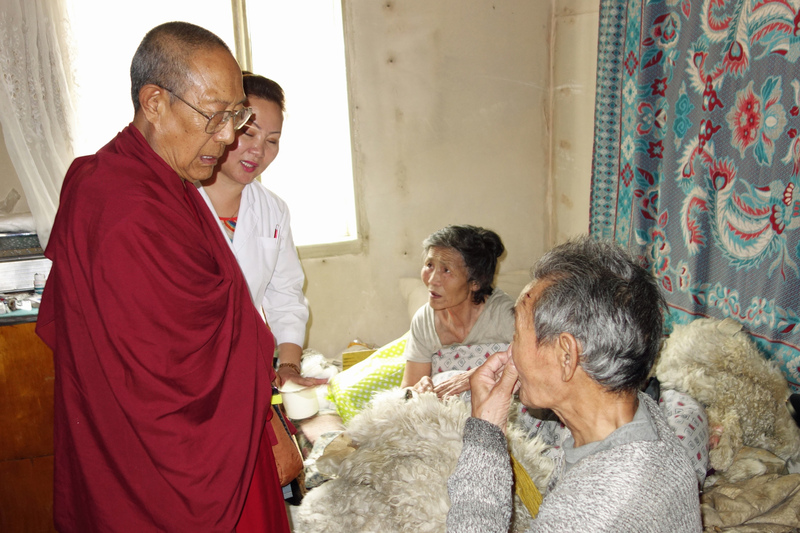 Panchen Otrul Rinpoche visiting an elderly bedridden woman suffering from a stroke and cancer. Rinpoche hand-delivered free medication to this woman. In addition to the organized charitable activity, Panchen Otrul Rinpoche also visits prisons, orphanages, schools and individuals in need. 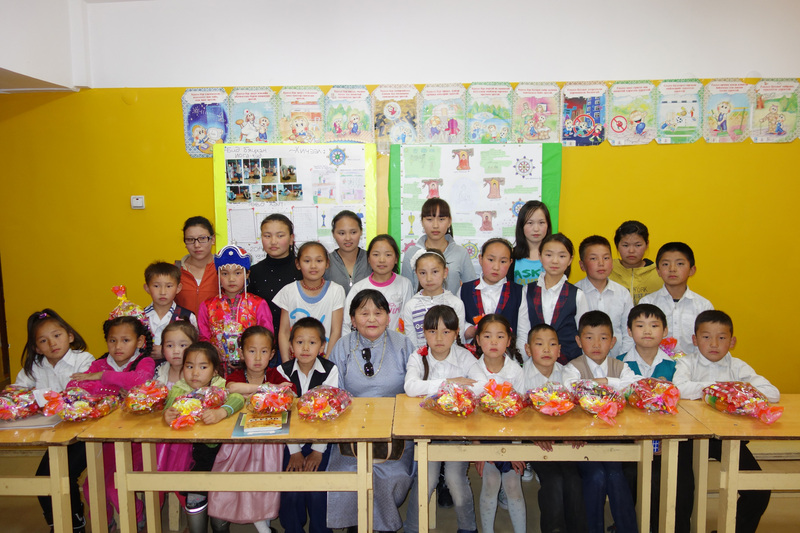 You can learn more about Panchen Otrul Rinpoche and his Asral NGO project in Mongolia.